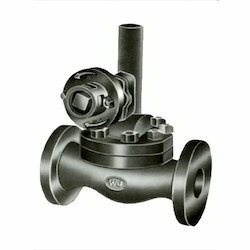 We are a leading Manufacturer of blow off valve from Ahmedabad, India. With long years of experience in the industry, we are able to manufacture, supply, trade and export top quality array of Blow Off Valves. These blow off valves are used to efficiently control the flow of different gases and liquids in the piping system. Our blow off valves are very durable, sturdy and long lasting made from top quality raw materials. These blow off valves are very easy to use and install and provide excellent functionality with its leak proof structure. Clients can avail from us our range of blow off valves at market leading range of prices.